So, you've decided to work with a Travel Agent. Fantastic. Agents are the industry's matchmakers, harnessing the power of relationships with both suppliers and clients to broker positive outcomes for everybody. Suppliers are happy because top flight agents will educate travelers on their products and manage their expectations, and clients are happy because a travel agent can take the time to understand their preferences and travel style. But how does a neophyte to travel agents (or a traveler who hasn't used one since airline tickets had to be printed out) go about building that positive relationship that turns good trips into great ones? As a former travel agent myself, I've got tips, and stories to back them up. Productive relationships are built on honesty and your relationship with your agent is no different. Before your consultation, you should have a general idea of the maximum outlay you're expecting to pay for your trip, or at the very least, a range. Otherwise, your agent is stabbing in the dark. I had a young man come into my office once with a vague idea about a private island in the South Pacific for his honeymoon. He proudly proclaimed that "money was no object", which any travel agent knows isn't true for virtually every one of their clients. For his chosen destination, we went through some options for ten-day honeymoons that priced comparably with a mid-range luxury automobile before he sheepishly admitted his budget was closer to the high four figures. That pretty much canceled out his originally planned destination, but the couple ultimately enjoyed a lovely luxury resort on Bora Bora that was well within their means. A happy ending, but had he been forthright about his budget, it would have saved time and embarrassment. Online airfare searches have become sophisticated to the point to where it's rare an agent can do better searching on their own, and any savings could well be negated by a service fee. While visiting an agent to see if they can do better than an online airfare search is likely a waste of time, there are exceptions. One would be complex international itineraries involving multiple stops. Some travel agencies have access to consolidator or bulk fares which are not published. Consolidators pay bulk rates to airlines for large blocks of seats at a significant discount, which they sell to travel agents who resell them to consumers at a competitive markup. They can be hit-or-miss, but they're worth checking. Some travel agents also specialize in hunting for mileage award seats or have access to international rate desks which can sift through the still relatively complex world of international fares for better deals than one can find online. 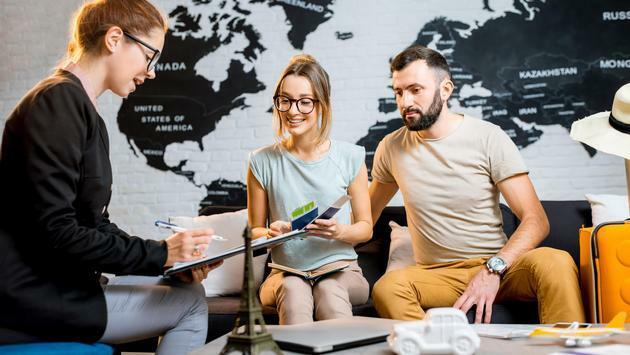 Travel suppliers such as airlines generally no longer pay commissions to agents; cruise lines and tour operators have reduced commissions as their direct sale channels have become more sophisticated. As a result, most agents charge fees on top of the price of the booking, paid at the time of booking. Fees help ensure travel agents are compensated for their work at the time of booking (commissions, when paid, are distributed post-travel). 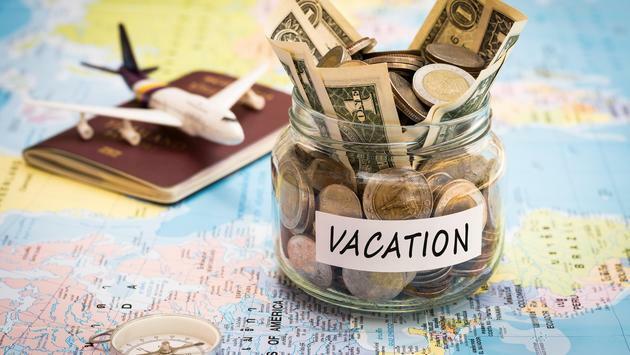 For complex itinerary planning, many agents charge an additional deposit which applies to the final cost of the trip to protect their time investment in the research and planning by discouraging clients from recreating custom itineraries on their own by booking directly. Travel agents are experts in travel planning and logistics. They also tend to keep abreast of travel trends and policy differences for providers in different parts of the world. That expertise is what drives many to seek their advice. I once had clients, a family of four, who wanted to visit Cinque Terre, Italy. Looking to save money, they wanted to share one standard room. Accustomed to booking hotels in North America, where hoteliers are generally less concerned about the number of guests occupying a room than in Europe, they assumed they could simply book doubles and check-in with their party as normal. After refusing to believe that quadruple accommodations in Cinque Terre that are not villas, suites or apartments are virtually nonexistent, they stood firm on their plans to book double rooms, only to find upon arrival that they couldn't fit four people and luggage into the room and still get the door closed. Most agents are keenly aware that their livelihood depends on repeat business; as such they have a vested interest in ensuring journeys are pleasant and enjoyable, and they won't risk losing future business to inflate a sale. A relationship with a travel agent is about more than single transactions. The best agents monitor trends for their best clients, calling to let them know when there's a fare sale to their favorite destination, or their preferred cruise line has published itineraries to ports they may find interesting. For tailored, in-depth itineraries, they may work with destination specialists on behalf of their clients, keeping an eye out for their interests during the process. The magical thing about a good travel agent relationship is that it gets better with age. The better an agent understands your travel style and understands how your needs evolve, the easier trip planning will be.